SnapSports®, the world’s largest manufacturer of premium athletic surfacing and game courts, will introduce their BounceBack ShockTower® athletic surfaces to the parks and recreation industry at the 2009 NRPA (National Recreation and Park Association’s) Annual Congress. 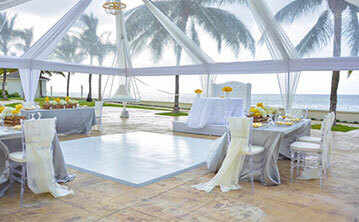 “We make it our mission to stay on the leading edge of our industry. When we were asked to feature our ShockTower basketball courts at this year’s NRPA, we were not only honored, but felt it was a great opportunity to exhibit our advancements to a leading advocacy organization like the NRPA,” said Jorgen Moller, CEO of SnapSports®. The NRPA Annual Congress begins today and runs through Saturday. Founded in 1965 through the merger of five national organizations, the National Recreation and Park Association is dedicated to the advancement of public parks and recreation. SnapSports Inc. was awarded two US patents for their DuraCourt and BounceBack sports surfaces. 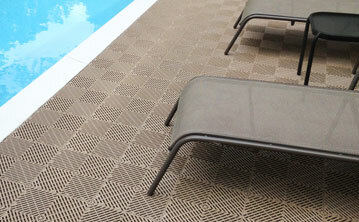 The first patent covers the multi-level, slip-resistant surface of the DuraCourt flooring. The second applies to the lateral locking and Dual Suspension® systems of the BounceBack flooring. 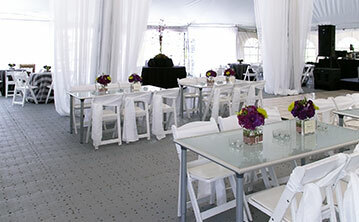 “ We believe we make the best modular sports flooring available today. Our unique patented designs have exceeded the expectations of our customers all over the world,” said Jorgen Moller, CEO of SnapSports. SnapSports® today announced the completion of two high-profile court installations. 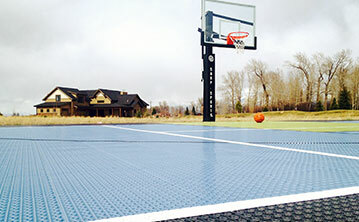 The clients, Jameer Nelson, All-Star point guard for the Orlando Magic, and his agent Steve Mountain, each took receipt of custom multi-sport game courts. Nelson’s 10,000 square foot, fully enclosed, court includes a 17,000 watt lighting system, a custom 80 foot long batting cage, and markings for over fourteen different games. Mountain’s 5400 square foot enclosed court includes a “dasher board” system for inline roller hockey. 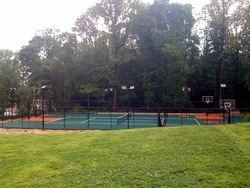 A crew of seven SnapSports employees installed the courts over the course of six days. “SnapSports is honored to have been selected to provide such high profile clients with our athletic surfacing. All of us at SnapSports love being a part of so many families and we strive to do so everyday,” says Jorgen Moller, SnapSports CEO. Nelson plays point guard for the NBA’s Orlando Magic. At Saint Joseph’s University, he became a star of men’s college basketball. More recently, he was a member of the 2009 NBA All-Star Team, sharing the honor with Magic teammates Howard and Rashard Lewis. 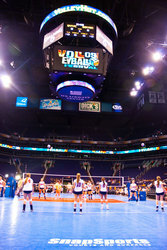 SnapSports, the industry leading manufacturer and provider of premium modular sports surfacing and game courts, was the premier championship flooring for the 2009 Volleyball Festival championship games played in the US Air Arena in Phoenix, Arizona. “We are very pleased to have worked with the SnapSports team and to have players from around the world play on the SnapSports surface during our 26th year of the festival,” said Bernice Epperson – CEO of Festival Sports, Inc.
Every year since 1984, Festival Sports has put on the largest volleyball tournament in the world, Volleyball Festival. This year over 500 teams from around the world, consisting of girls ranging in age from 12-18 came together for 2 weeks to play thousands of games on hundreds of courts. “We can’t express how thrilled we are to be apart of this world class event. To have our athletic surfaces chosen as the championship court for the Volleyball Festival tournament is a tremendous testament to the quality and high performance features of our sports flooring,” said Jorgen Moller – CEO SnapSports. 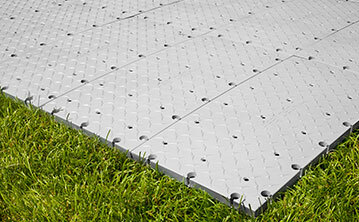 FastDeck Portable Flooring is extremely durable, easy to deploy, and easy to remove. 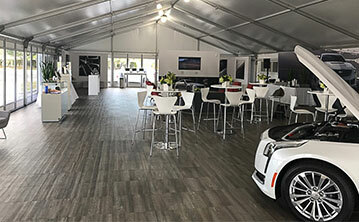 FastDeck applications include stadium turf protection, event and tent flooring, portable walkways, ice arena floor covering, military shelter flooring, portable vehicle access paths, or any other situation requiring a layer of protection between the ground and user. 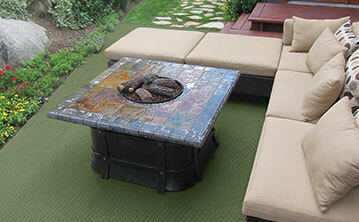 “We always listen to our customers’ needs and use their advice to improve of our flooring options. We think we’ve hit the nail on the head with this one. FastDeck is portable, it’s sturdy, and above all, it’s easy,” said Jorgen Moller, CEO of SnapLock Industries. The multi-patented pending Socket Lock-It connection system is self-aligning and incredibly strong, designed to keep your floor flat and in place.The system ‘snaps’ together with no tools or separate fasteners. The self-aligning locking system is easy to use, making for easy, less labor intensive deployment. Removal is even faster with no tools, fasteners, or training required. It’s only a matter of unsnapping the tiles, which can be stored in sheets or rolled up like carpet. 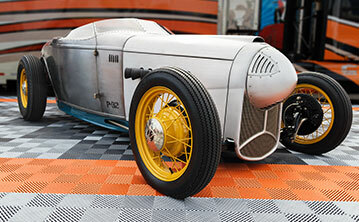 See more at the FastDeck Website. 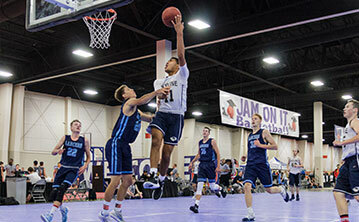 The 20th Annual Amateur Athletic Union (AAU) Memorial Day Weekend Invitational and National Qualifier Tournament will be played at the Reno Convention Center May 23rd-25th. Players will compete on the multi-patented SnapSports Indoor BounceBack® surface and the newly unveiled Indoor BounceBack ShockTower™ surface. SnapSports will provide 25 athletic courts for the AAU National Basketball Tournament. 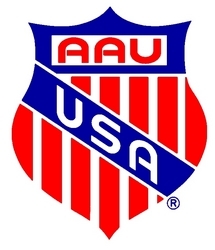 The AAU is one of the largest non-profit volunteer sports organizations in the United States. A multi-sport organization, the AAU is dedicated exclusively to the promotion and development of amateur sports and physical fitness programs. Over 500 teams of boys and girls, ages eight to seventeen, will compete in this weekend’s tournament. “I am extremely excited to have SnapSports as our title sponsor and to have them providing premium sports flooring for our event. At a recent AAU qualifier tournament we heard so many positive comments about the additional cushion and ball response on the SnapSports surfaces,” says Matt Williams, AAU President of the Pacific Region and Tournament Director. SnapSports®, the world’s leading manufacturer and supplier of premium athletic surfacing and game courts, today announced a multi-year agreement with UK-based @Futsal. As the official and exclusive playing surface of the United States Futsal Federation (USFF), SnapSports was the natural choice for @Futsal’s flagship facility. The @Futsal venue includes three Federation Internationale de Football Association (FIFA) regulation sized pitches, one full size international pitch, three floors of amenities, and uses Football Association (FA) and FIFA approved playing surfaces and training equipment. 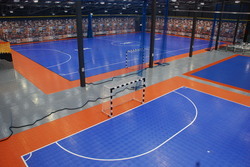 SnapSports installed over 20,000 sq ft. of BounceBack indoor sports surfacing in the high-tech building and is slated to install the floor at future @Futsal facilities throughout the UK. “When SnapSports was chosen as the official playing surface of the USFF we knew we would receive positive acknowledgement from Futsal players and organizations worldwide. 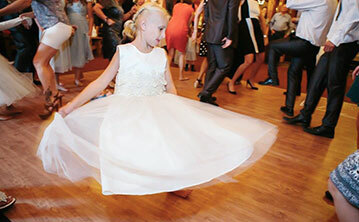 The response has been incredible to say the least,” said Jorgen Moller, CEO of SnapSports. Founded in 2008, @Futsal is committed to accommodating the world’s fastest growing indoor team sport with five-a-side Futsal venues, FIFA and FA regulation training equipment, and structured league and cup competitions. They promise to develop their facilities and improve their leagues, competitions and venues on an ongoing basis. SnapSports® Athletic Surfaces, the industry’s leading manufacturer and provider of modular athletic surfaces and outdoor game courts, introduces their new multi-patent pending Outdoor BounceBack® surface with ShockTower™ technology. SnapSports continues to lead the industry with the most advanced athletic sports surface on the globe, Outdoor BounceBack® Game Courts. With the recent addition of the multi patent-pending ShockTower™ technology, SnapSports has again raised the bar in performance and safety that is unsurpassed by any other outdoor sports surfacing available. The main focus of the new Outdoor BounceBack with ShockTower technology is to reduce the severity of injuries as well as enhance the personal safety of the athletes who play on it. There are sixteen individual ShockTowers per square foot that ensure a consistent playing surface, an excellent coefficient of friction, and provides an unmatched level of shock absorption. 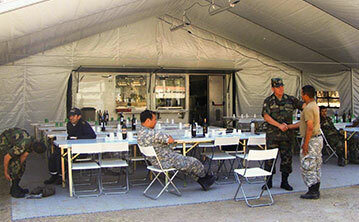 “We have successfully developed the most innovative outdoor modular sports surfacing in the last 25 years. Our new ShockTower™ technology will revolutionize athletic surfaces by providing our customers with virtually the same shock absorption and cushion as professional game courts,” says Jorgen Moller, CEO SnapSports. The addition of an Outdoor BounceBack athletic surface with ShockTower technology will not only increase the value of your home; it will strengthen the health of your family and friends as well as provide a lifetime of safe athletic fun. SnapSports® Athletic Surfaces, a family owned and operated company for over 35 years, was asked to participate with the New Jersey Nets in providing a new Fun & Fitness Center at the East Orange, New Jersey’s Fellowship Civic Center. The city’s mayor, Robert Bowser and the city’s recreation director, Larry Schumacher, reached out to the NBA, Toyota, and the city as a whole, to help execute a “fast break” for recreation and health within the community to help the city’s younger residents. With SnapSports® accepting a seat on the USA Team Handball National Board of Directors and providing its premium sports flooring system in customized red-white-and-blue for their signature events, they have committed to a four-year comprehensive alliance with a great organization. 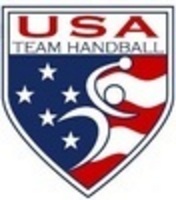 The first USA Team Handball competition to take place on “National Court” will be the 2009 Club Championships in Elgin, Illinois.